Edition 5 of the Walks Around Britain podcast features the team of Sixth Formers attempt to bag some Munros and we find out about a new map about the Munros - and it's older Lake District cousin. Richard Vobes - the Bald Explorer - takes us along the Dorset Coastal Path and weatherman Fred Talbot tells us about his walking treks and lyrca. Six intrepid Sixth Formers from the LVS Ascot School in Berkshire - Kieren Exley, Jamie Goldsmith, Idris Adedeji, Charlie Morgan, Jack Bingham and Ben Pearson - should be very proud of their recent adventure, as they along with three mad teachers returned safely after taking on the several Munros in North West Scotland. Teacher Nick Funnell tells us about the challenge on the podcast. If you'd like to donate to the challenge, visit the Just Giving website here. At present, 31st May 2012, the total raised was a massive £2,722.50. Tubular Fells was the first map of its kind, blending the iconic work of Alfred Wainwright and Harry Beck - the designer of the London Tube map. Using the same formula, the second map MunrOverground has been created to map the Scottish Munros in the same topological way, but this time looking more like an overground rail network. Peter Burgess - the creator of the maps - talks to us on the podcast about the way they came about. To find out about them both - and to buy them - visit the website here. Richard Vobes - the Bald Explorer - sent us a short clip about his walk along the Dorset Coastal Path. You can follow his adventures on the Bald Explorer on his website. Fred is probably best known for his appearances on the “This Morning” weather map and between 1988 and 2001 he delivered the weather live from the Albert dock in Liverpool over two thousand times. All of those were memorable but the one that sticks in everyone’s mind was when the streaker climbed from the waters of the dock onto the weather map live on the morning show. 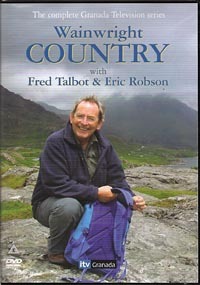 Fred is an avid walker, and presented a series Wainwright Country, along with Eric Robson. The series is available to buy on DVD from Amazon here. The Bridgewater Canal Fred talks about forms part of the Cheshire Ring, with the Ashton & Peak Forest Canals, Macclesfield Canal and Trent & Mersey Canal. Find out more about it on the Canal Junction website. 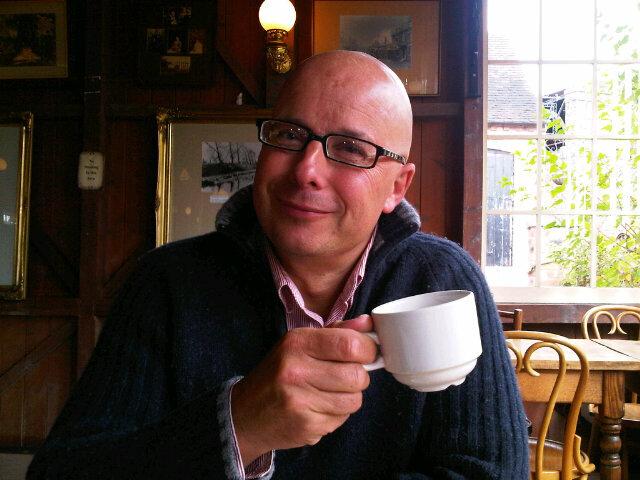 Fred is on Twitter where you can follow his weather tweets especially for the North West of England and the Isle of Man. So, that's the fifth edition over then! Please get in touch with us if you've any comments or suggestions. E-mail them, tweet or facebook them. Or use the "Send us a Voice Message" tab on the right of the blog to let us know your thoughts via audio.